The general downward trajectory of Shyamalan’s career has made him an easy target, yet two decades on he can still attract funding and acting talent. Split is, fittingly, a psychological thriller masquerading as horror. Its setup features the abduction of three teenage girls who are subjected to the stereotypical semi-exploitative treatment of horror victims. The tone swiftly shifts as the girls discover their captor exhibits multiple personalities which becomes the movie’s focus and provides for a fresher experience. 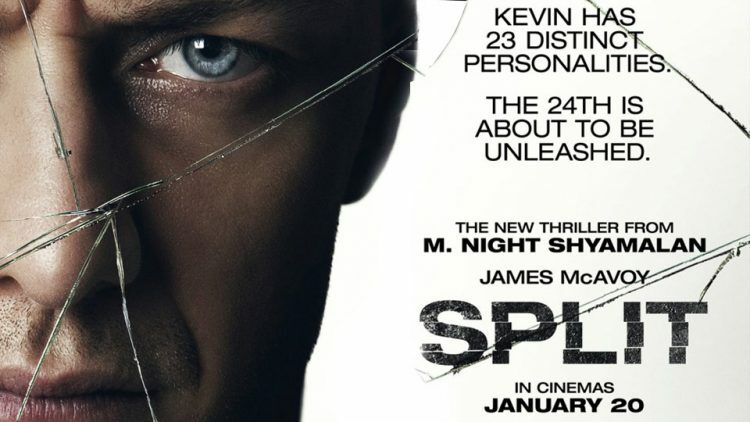 Although the closing minutes of Split demonstrate it to be a stealth sequel to an early Shyamalan success, setting up a subsequent crossover, the film stands entirely on its own. McAvoy is entertaining as he enjoys chewing through Kevin’s various colourful personalities. Sadly, the remainder of the characters are one-note horror tropes, and too much of the film relies on convention rather than subverting it. Split is Shyamalan’s best work in a long time but cannot be described as a return to his early form.